These naturally formed famous caves are located at different part of India. These caves are identified by people at different times and facilities are developed to promote them as tourism destinations by government joining hands with local bodies. Here we are trying to list out naturally formed caves found in India with its significance. The formation of stalactite ,stalagmites common in caves. Stalactite are formed due to water dripping from ceiling and stalagmites are formed due to deposits of minerals in ground from the water drippings. Over the years such formations have grown and taken different shapes. These shapes are resembled with ancient or mythological stories and some are worshiped by locals. One such formation is Shiva Linga inside Borra Caves ( Andhra Pradesh ). 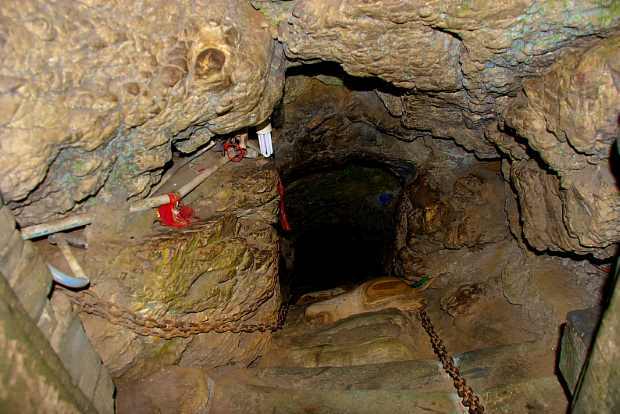 Inside Patal Bhubaneswar cave in Uttarakhand you will find several such resemblance with Hindu mythological stories like battle of Mahabharat , Jatta or Curly hair of lord shiva holding river Ganga inside it. There are caves with wide opening at entrance and steps are constructed for easy access to inside or core area of the cave. 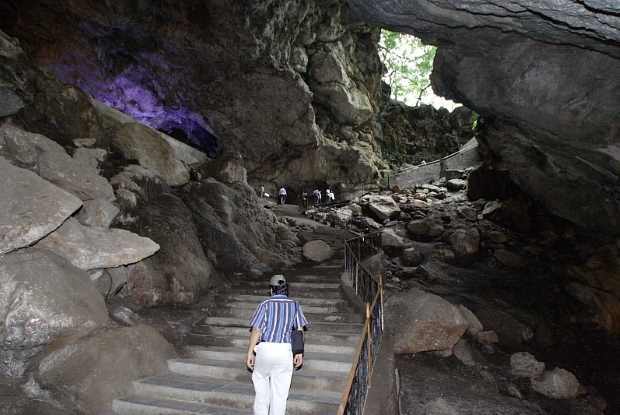 You can easily descent by using steps at Bora caves in Andhra Pradesh. But all caves are not like this and the most difficult to enter is Pata Bhubaneswar cave in Uttranchal. Similarly Kutumsar cave in Chhattisgarh has a narrow entrance and spiral steps to enter inside. Most of the caves have single entry path to enter or exit from the cave. Caves contain unique variety of flora and fauna compared to what found in plain or hilly areas. Plants are found at the entrance or openings of the caves only as insufficient light inside the caves prevent photosynthesis. With provision of light by electricity, Mosses, algae and ferns are found growing inside the caves. Crustaceans of different sizes are found inside caves. The most commonly found inside caves are Bats. 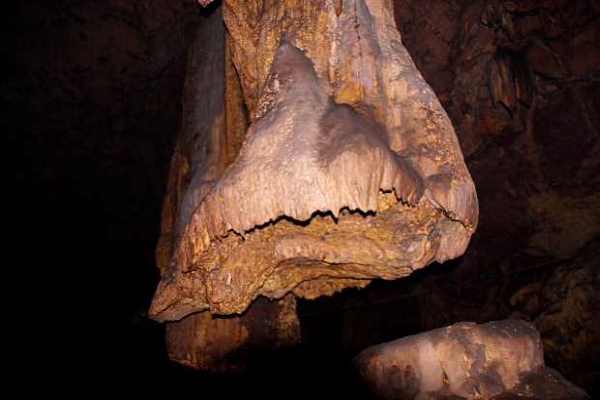 There are various interested groups who study about cave environment, discovery , formation etc. Located in Kumaon region this is known as cave temple of Uttarakhand state. Managed by local bodies this cave temples has a narrow passage to enter inside. Visitors are allowed in batches as same path is used for entering and coming out of the cave. This cave is mentioned inside ancient book of Hindu mythology Manas Khand of Skand Puran. Electricity is available inside the cave through 24 volts supply with backup generator, as a backup source your guide will carry torch light to show you different parts of the cave inside. 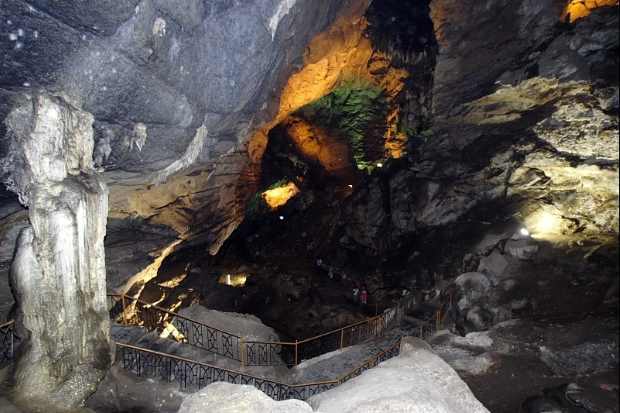 Near Araku valley ( Andhra Pradesh ) this cave has a wide entrance with lights inside the cave for tourist to explore different parts of the cave. Nearest town is Visakhapatname ( 95 KM ) with Road , rail and air connectivity. This cave is located near Jeyopore of south Orissa. The big Shiva Linga is located at entrance of the cave and behind this the cave is further extended. Annual festival of Sivaratri is celebrated here. Nearest town Jeypore is at 56 KM distance. At a distance of 40 KM from Jagdalpur in Chhattisgarh state this cave located near Tirathgarh waterfall. The entrance to the cave is narrow and spiral staircase are provided to enter and exit from the cave. Local tribes work here as guide and they will show you Blind fish inside the cave. There is no electricity available inside the cave and your guide will carry charging lights to show you inside the cave. In Meghalaya state this cave is located at a distance of 27 KM from Cherapunji. A long concrete path way connects from main road to the entrance of the cave. This cave is electrified and lights are available inside the caves at different points. This cave is 150 meter length with different entry and exit points. 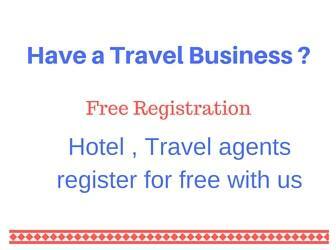 There is a entry fee to be paid near the cave. These natural caves are different than man made caves exist mostly from Bdhist and Jain worship centers. Due to its natural formations they are difficult to explore.